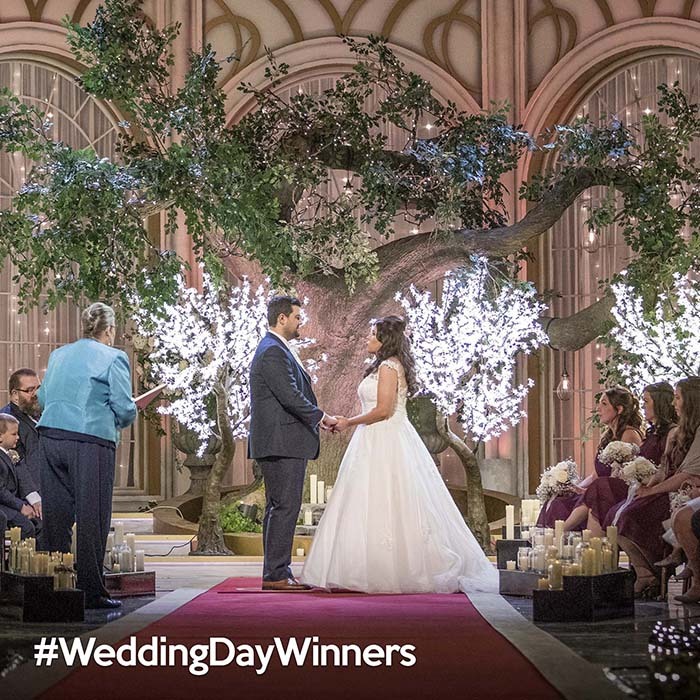 In an information-rich bride’s and groom’s world, wedding reality TV shows are standing out because of their contemporary and traditional views on marriage. And with their atrocious and intrusive coverage of celebrity weddings, without a doubt they are worth watching. Look at it this way, the enlightening programs are full of gossip, drama and intrigue. But, if you are planning your nuptials, it’s the ideal source of information. What’s more, the world-class television series give you a bird’s eye view about weddings. Reality TV shows keep you up-to-date with the latest wedding craze and big day facts. A-list celebrities are right at the forefront. Moreover, high-profile couples enjoy sharing their exclusive wedding day on television. Guess what? If you’re dreaming of a fairy tale wedding with a happy ending, then your dreams will come true. Disneyland (yes, you heard me right) has launched its own wedding reality TV channel. The series showcase magical weddings and special celebrations at their destinations. Focusing on 11 couples, you’ll tune into how they plan for their big day. So, get inspired and watch now Disney’s Fairy Tale Weddings. What is your dream wedding scenario and aspirations? 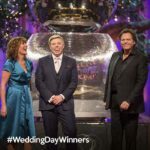 Well, if you watch UK Wedding TV, you’ll find out what is the perfect sequence of events for your big day. It’s also worth viewing because it provides you with great insight into the best wedding merchandise. Basically you’ll discover how to plan a stress-free and enchanting celebration. Watch it on Sky Channel 212 and Freesat 303. Now if you want to see some real tears and tantrums take a peek at Don’t Tell the Bride. This British wedding reality TV show, is a fabulous fun series, that always has a happy ending. I’m a huge fan. Not only does it focus on the bride to be and her best mates. Featured are the groom and his friends because they have the responsibility of planning the brides dream day. On top of that they buy the wedding gown, invitations and plan the hen party. Basically, the groom arranges everything and ensures that nothing backfires. Additionally, wedding reality TV shows come in every shape, size and price. So, fulfill and create your quirky wedding plans or fantasy marriage service without any hassles. Tune in to Wedding House. It is based in a stately country mansion. The licensed ceremony venue is the perfect backdrop for a memorable day. Wedding coordinators, stylists and caterers take over the location. And a registrar is on site to conduct the legal side of the wedding. This modern and forward thinking wedding series on Channel 4 looks at issues ripe and relevant in Britain today. The Romeo and Juliet style show features couples who face racism, homophobia and ageism. Basically, the star crossed lovers try to win over their family’s support for their commited partnership. Moreover, they get the opportunity to address the disapproval of their loved ones who are against the match. What makes a flourishing marriage? Well, I’m sure the four couples who take part in the TV reality show Four Weddings UK could tell you. As a matter of fact, is also one of my favorites. It is a competition wedding reality show between battling young and mature brides. Be that as it may, they are out to win the ultimate dream honeymoon destination for themselves and their partners. Watch it with enjoyment for inspiration and funky ideas for your unique wedding. 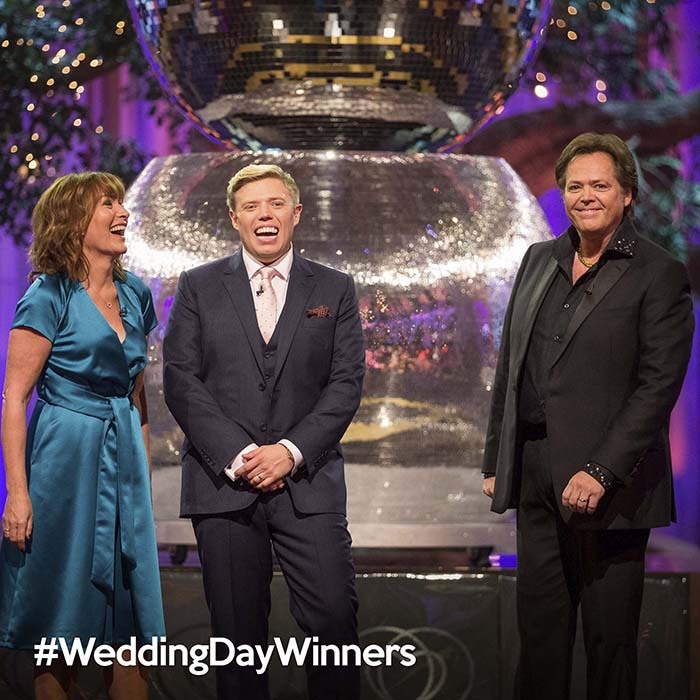 At the helm of this program the Wedding Day Winners are 2 presenters Lorraine Kelly and Rob Beckett. It is a brand new entertainment show from BBC One. The game show is choc full of love, laughter and surprises. What’s more, it invites you to a wedding day with a big difference. Competing couples allow friends and family to win amazing prizes on their behalf. Marrying Mum and Dad is a CBBC – BBC UK production. This amazing wedding reality TV show revolves around children. As a matter of fact the kids become wedding planners. With the right solutions and tools they create their vision of their parents’ nuptials. On top of that, they are responsible for arranging a celebrant, venue and designing the overall feel and look of a dream wedding day. Bridezilla aired on www.wetv.com. Actually, it is a great American wedding television show. You cannot miss it because the show features controlling brides. You’ll see what it is like to be a demanding bride. More importantly, how being a control freak effects your wedding planning and those you care about. A Very British Wedding is a welcomed addition to the wedding reality TV Shows list. This documentary based series follows the lead up to and the weddings of two multicultural couples in contemporary Britain. Take a look and judge for yourself if the bride is being reasonable.